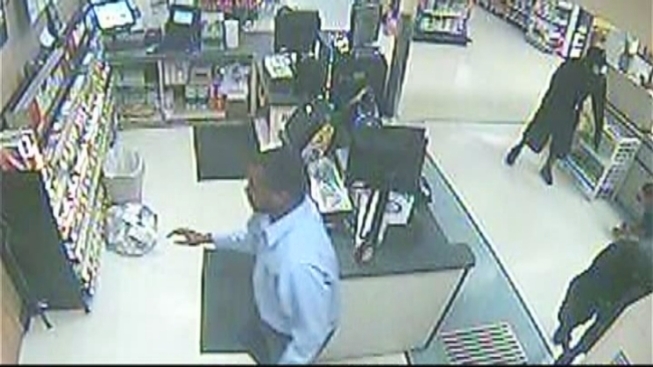 Miami Gardens Police are looking for a pair of thieves who robbed a Winn-Dixie Supermarket at gunpoint Wednesday morning. The incident began at about 3:40 a.m. when the suspects started using hammers to pound through a wall of the grocery store at 17221 NW 27th Ave, but it took them more than two hours to break through, police said. "About 5:58 (a.m.) we know that they make entry into the store," Sgt. Bill Bamford said. "And then these two guys lay in wait for the manager and the employees to arrive." After they arrived six minutes later, the manager and employees were ambushed at the front service counter by the suspects who forced them at gunpoint to lie on the ground, police said. 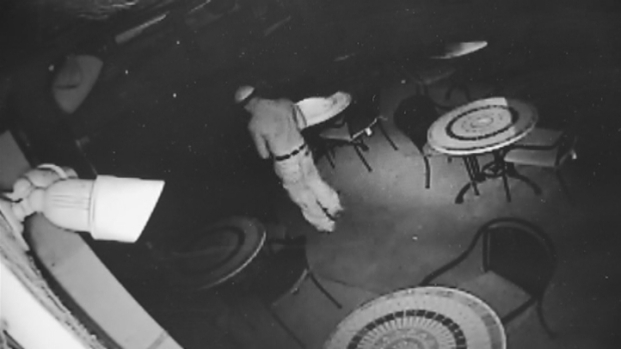 Things are back to normal at a Columbian Deerfield Beach restaurant on Monday, but the owners and employees of El Balcon de las Americas feel violated after an early Saturday morning burglary. The manager, who did not want to be identified, spoke about the crime caught on surveillance video. "The manager is then pulled up off the floor and he's forced into the back office. In the back office the manager at gunpoint is ordered to open up the safe," Bamford said. The manager is seen on surveillance video visibly terrified, fumbling with the combination. He opens the safe and one suspect pours the money into a black duffle bag. The pair then took off the same way they entered. Police said it's clear the pair were familiar with the store. Miami Police are looking for a crook who broke into the same auto parts store twice in a matter of days. The first break-in happened on March 5 at the Advance Auto Parts store at 3145 Northwest 7th Street when the suspect smashed through the front glass door. Miami Police spokesman Det. Willie Moreno comments. "They knew exactly where to walk in the store, what aisle to take, the quickest route to the front service counter. They knew to force the manager back into the manager's office," Bamford said. "Could it have been some sort of surveillance they were doing? We're not sure, or were they former employees?" Winn-Dixie provided a brief statement, saying, "We're glad none of the employees was hurt. We're cooperating fully with police and defer all questions to police as this is an ongoing investigation."